In two new studies, researchers at UCLA used artificial neural networks to reconstruct a hologram — not just any hologram, though. Not only is the technique an advancement of holographic technology, but the resulting microscopic images could have fascinating medical applications. In the first study, published in the journal, Light: Science & Applications, researchers used deep learning to create images of biological samples like blood, Pap smears, and other thin tissue samples. The neural network technique proved to be easier and faster than the usual methods used to make holograms, which often require an abundance of physical measurements and computational input. In the second study, the team applied their deep learning framework to improve the resolution and quality of the microscopic images, which could help doctors detect very small abnormalities in a large blood or tissue sample. As holograms are rendered they can lose information in the process, which can sometimes make “artifacts” appear in the image; something that looks significant (like a dark spot that’s really just a shadow but could be interpreted as a cancerous growth). This also happens at times with radiological scans, especially if the patient moves when the scan is being performed. However, the UCLA team’s deep learning AI was successfully able to address the problem: once it was properly trained, the neural network could separate the spatial features of the true image from any interference (often caused by light). Layers of artificial neural networks allow deep learning algorithms to automatically analyze data. The technology has already demonstrated its use for improving real-time speech translation, video captioning, and many other tasks previous left up to humans — who, perhaps, don’t accomplish them as speedily or accurately as the algorithms do. Since machine learning can sort through enormous amounts of information much faster than humans can, one area that the technology has begun to establish a presence is medicine. The algorithms are already finding applications in diagnostic radiology, where they’ve been used to read x-rays and have even managed to catch cancers that were missed by human physicians on scans. As we strive to develop tools to help bring these views “to life” holographic image reconstruction will be integral — especially if they’re able to repair and recover the images. Beyond the remarkable potential deep learning has to advance hologram technologies, Aydogan Ozca, who led the research, believes it could open up new possibilities in imaging. In a UCLA press release, Ozca said the technology could even lead to the creation of entirely new, coherent imaging systems. Future imaging systems could even use UCLA’s findings to incorporate other parts of the electromagnetic spectrum into the tech, like X-rays and visible wavelengths. 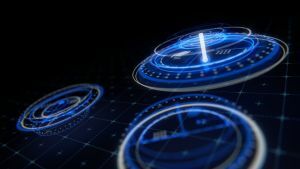 If the future is anything like we’ve seen in science fiction for the last 40 to 50 years, holograms will play a major role, but UCLA’s research doesn’t just support the fantastic future of holograms; it offers realistic applications for the incredible technology.